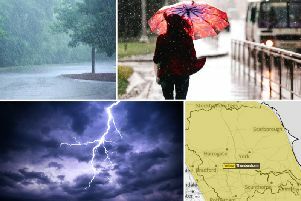 Although temperatures continue to rise, this hot and humid weather is a trigger for heavy rain and thunderstorms, both of which are set to hit Sheffield this weekend. A yellow weather warning has been issued for Yorkshire and the Humber, including Sheffield, as thunderstorms are expected to hit between 2pm and 11.45pm on Friday (July 27). Thunderstorms are expected to develop during Friday afternoon, lasting well into the evening, with a maximum temperature of around 27C. Where these thunderstorms do take place, torrential downpours with a much as 30 mm of rainfall in 1 hour and 60 mm in 3 hours could occur. Saturday is also expected to see light rain showers throughout the day, accompanied by a fresh breeze and some sunny intervals and some periods of pure sunshine. 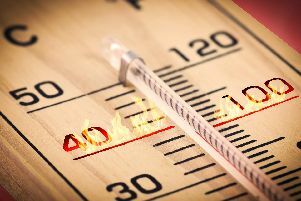 Maximum temperature will be around 21C. Sunday will also see light rain throughout the day, again accompanied by a breeze, but it is set to be mostly overcast. Maximum temperature will be 20C.